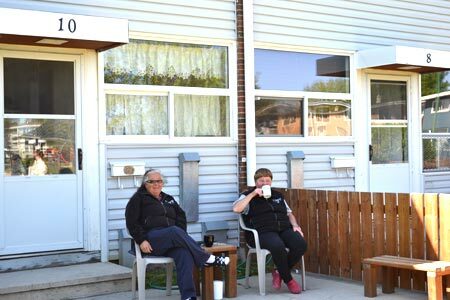 Manitoba Housing is working with tenants and community organizations to create stronger communities through housing solutions by revitalizing our communities and improving neighbourhoods. Tthe Province of Manitoba, with the financial assistance of the Government of Canada continues to make significant investments in the development of social and affordable housing. Manitoba Housing supports ALL Aboard, Manitoba's Poverty Reduction strategy by increasing the supply of quality, affordable housing for low-income Manitobans. Read more Manitoba Housing news. See Manitoba Housing News for more information about our investments.